gThumb is an image viewer and photo manager for GNOME. It comes with options to edit photos, transfer photos from digital cameras and upload photos to popular websites such as Facebook, PicasaWeb, Photobucket, Flickr and more. 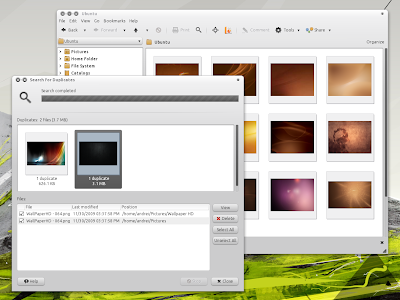 A new gThumb version (2.13.1) was released recently, bringing quite a few improvements. There are two new tools: contact sheet creator (creates an index image displaying the thumbnails of the selected files) and an extension that finds and removes duplicates and there's also a new histogram program. To enable the new extensions, start gThumb and go to Edit > Extensions and enable "Find Duplicates" and "Contact Sheet".